Calling all cheese connoisseurs: Whether you're on the road or looking for a local shop to call home, here are 16 can't-miss locations for cheese in all of its gooey, crumbly and farm-fresh forms. 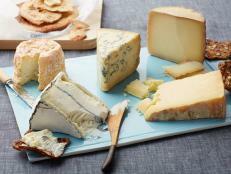 What is the difference between bloomy-rind and washed-rind cheeses? 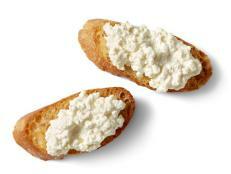 How does the taste differ between goat's milk, cow's milk and sheep's milk cheese? What's so special about Burrata? 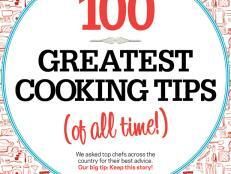 Get these questions and more answered by knowledgeable cheesemongers at one of these odes to curds and whey. 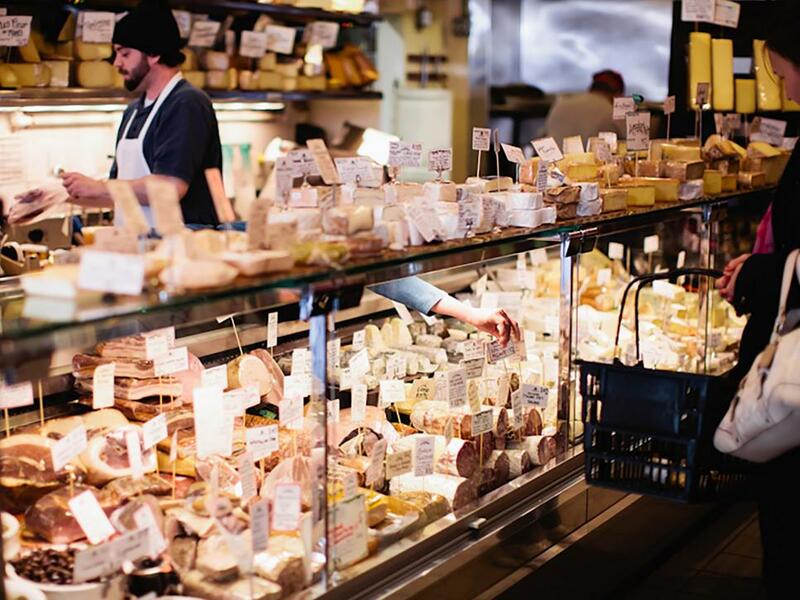 From quaint mom-and-pop counters to vast cheese emporiums, whether historic or hipster, these locations around the country bring on the cheese in all of its gooey, crumbly and fresh-from-the-farm forms. It's time to get cultured! 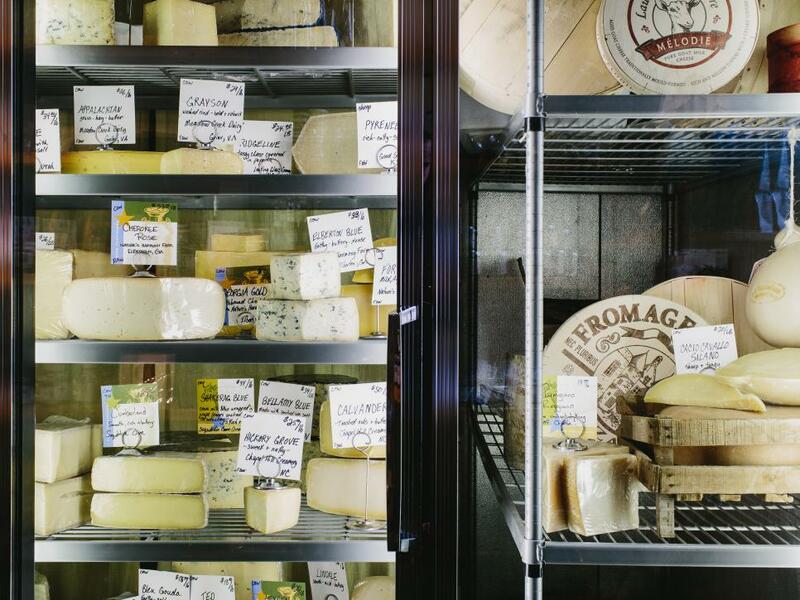 This offshoot of Anne Quatrano's popular restaurant Bacchanalia is the foodie destination of the Deep South, and stocks all matters of Southern cheeses as well as an extensive variety of imports, organic produce, house-cured charcuterie, cookbooks and gifts. 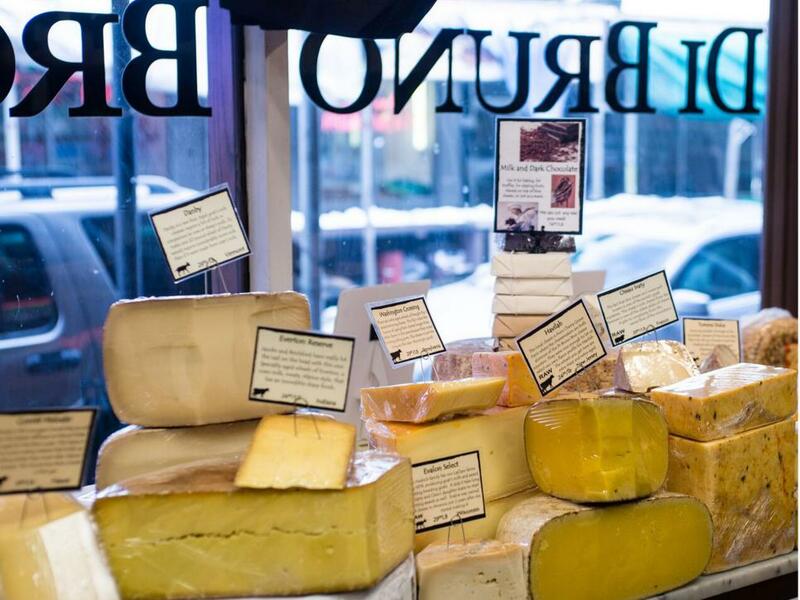 Head cheesemonger Carolyn Bender offers up knowledge from behind the counter as well as in tastings and a cheese-of-the-month club. The space, formerly home to a slaughterhouse and meatpacking facility, includes a butcher, bakery and seafood counter. Staff pick: Bloomsdale from Baetje Farms, Bloomdale, Mo. The award-winning flagship goat’s milk cheese is rolled in a mixture of pine ash and salt — as the cheese ages, it becomes progressively softer. 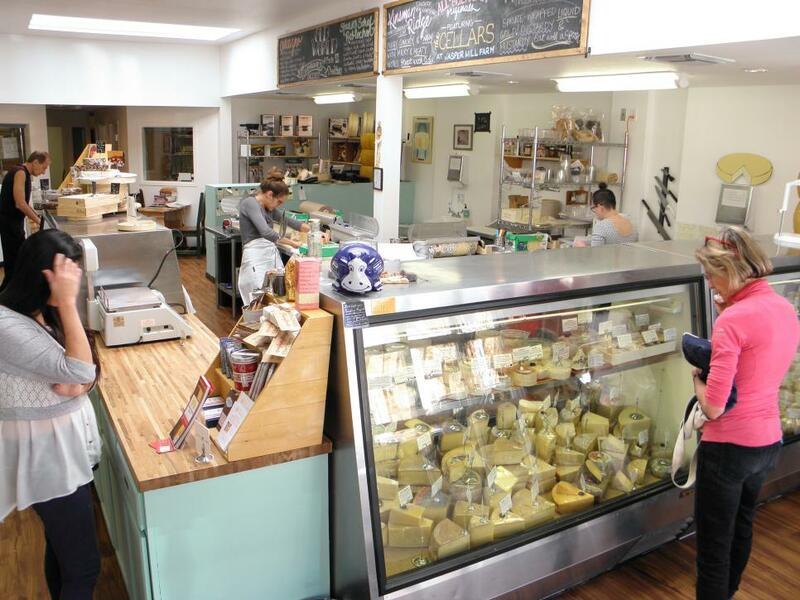 The East Bay city of Berkeley has become a hamlet for artisan food, and this worker-owned coop has been sourcing local cheeses since 1967. 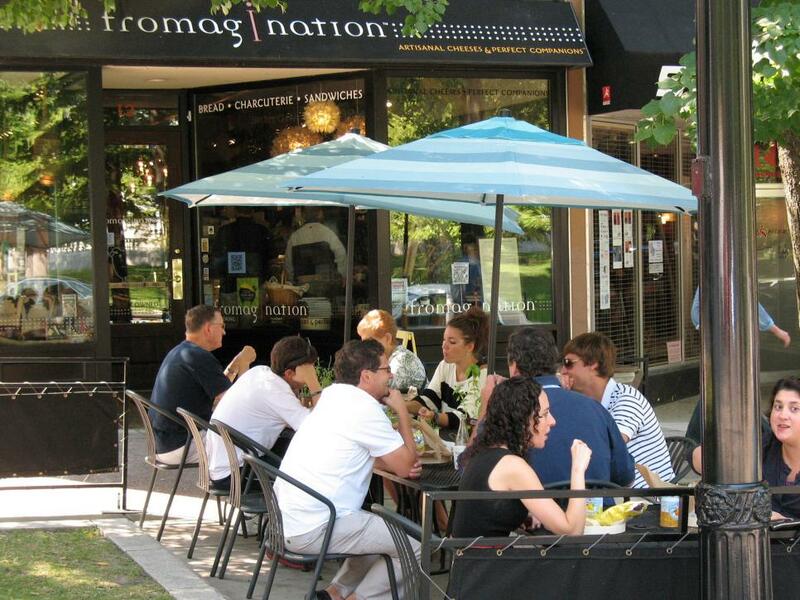 Along with several other gourmet businesses, including Alice Waters' Chez Panisse, The Cheese Board Collective helped establish the Shattuck neighborhood as a "gourmet ghetto." 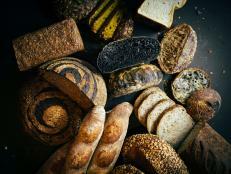 Grab loaves of freshly baked breads (sourdough baguettes and focaccia, for starters) to pair with a few of the over 400 cheese selections. Staff pick: Laychee from Pennyroyal Farm in Boonville, Calif. It's a spreadable chevre-style goat cheese that alternates between 100 percent goat's milk and a blend of sheep's and goat's, depending on the season. Owners Will and Coral Frischkorn transformed from food lovers with other careers (Will was a professional cyclist who rode in the Tour de France, Coral a graphic designer) into cheese shop owners. 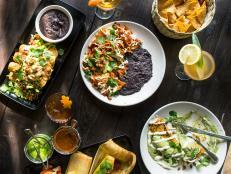 Cured is nestled into the bustling food mecca that is Pearl Street in Boulder and offers a wide selection of cheese products from Colorado farms, as well as dozens of other imports. Stock up from the selection of cured meats, honey, oils and vinegars, or head up to the mountains with a premade picnic assortment — The Stolen Hour includes cheese, salami, fig jam, crackers and chocolate. 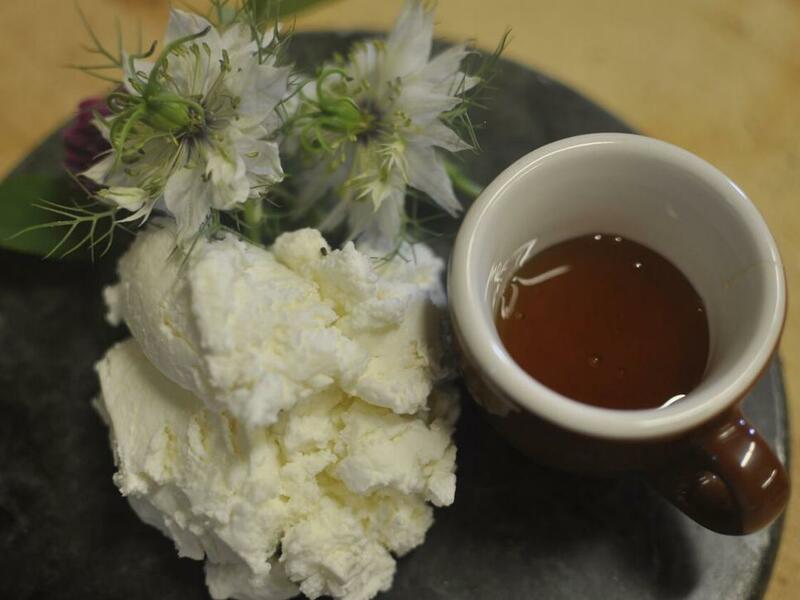 Staff pick: Fresh Sheep's Milk Ricotta from Fruition Farms in Larkspur, Colo. Alex Seidel's sheep's milk makes some of the cleanest, sweetest, most absolutely perfect ricotta on earth. 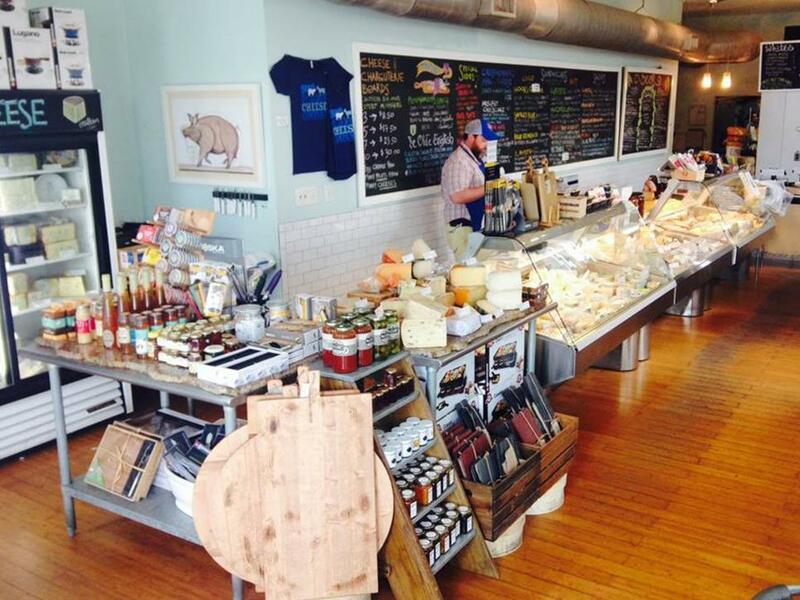 This neighborhood cheese-and-provisions shop specializes in sustainably produced ingredients. 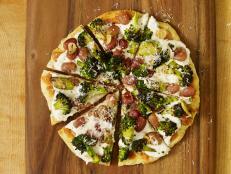 Owners Andrew Feinberg and Francine Stephens (both of Franny's pizzeria fame) and Sergio Hernandez opened the shop originally so they could vend their favorite ingredients. 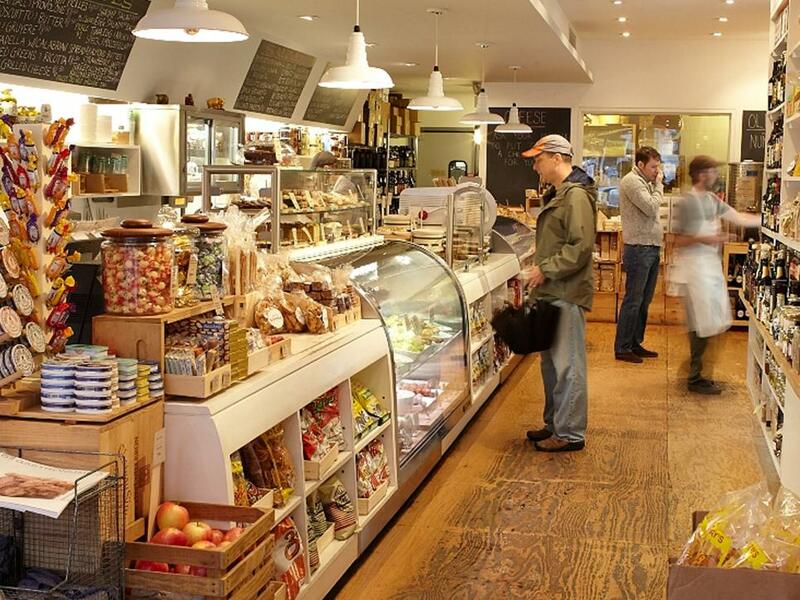 The shelves are now stocked with meticulously curated handmade cheeses as well as meat, salad, quiche and sweets to pack up for a picnic in nearby Prospect Park. Favorites include Bklyn Larder's housemade almond butter, Empire Sriracha mayonnaise and Mast Brothers bean-to-bar chocolates. Staff pick: Calcagno from Casa Madaio in Campania, Italy. 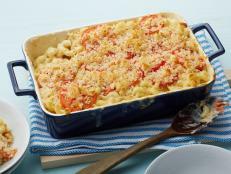 The flavor is herbaceous yet sweet and tangy. Ihsan Gurdal, a former Turkish Olympic volleyball player, opened this ode to artisan cheese back in 1978 and added a basement cheese cave in 1996 that mimics the environment of actual European caves. Formaggio Kitchen is known for an extensive global selection, thanks to Ihsan and his wife Valerie, who seek out the finest small-batch producers from around the world. While you're there, stock up on artisan charcuterie, salts, oils and honey, among dozens of other products. 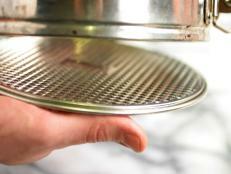 During the summer, the shop rolls out the grill every Saturday for a sidewalk BBQ pop-up. Staff pick: Comte from Marcel Petite in Jura, France. 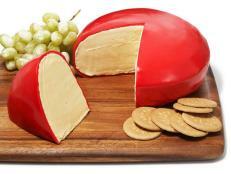 This raw cow's milk cheese has a dense flavor with notes of grilled fruit, nuts and caramel. 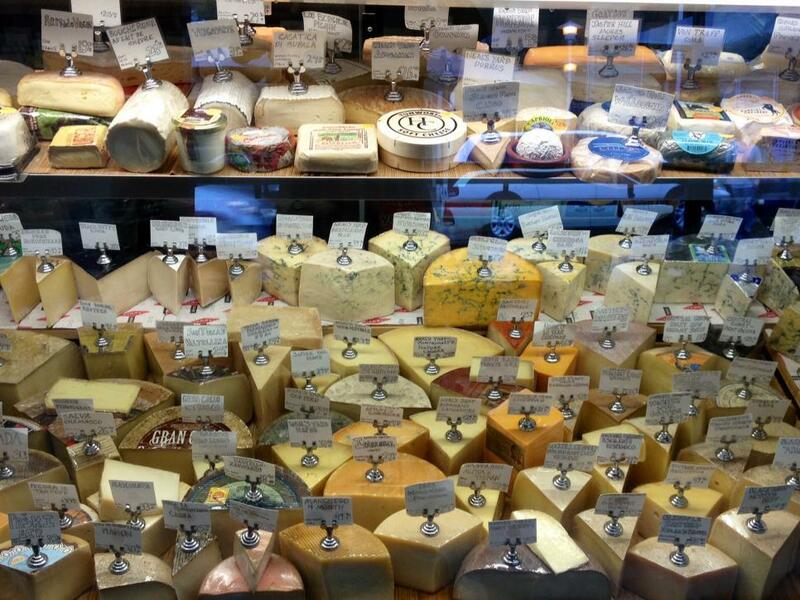 This European-inspired neighborhood cheese shop offers a large selection of both domestic and international varieties, fresh-baked breads and select accompaniments, as well as wine and "cheese loving beers." Partners Greg O’Neill and Ken Miller opened the first Pastoral in 2004, with two more retail stores following shortly after. 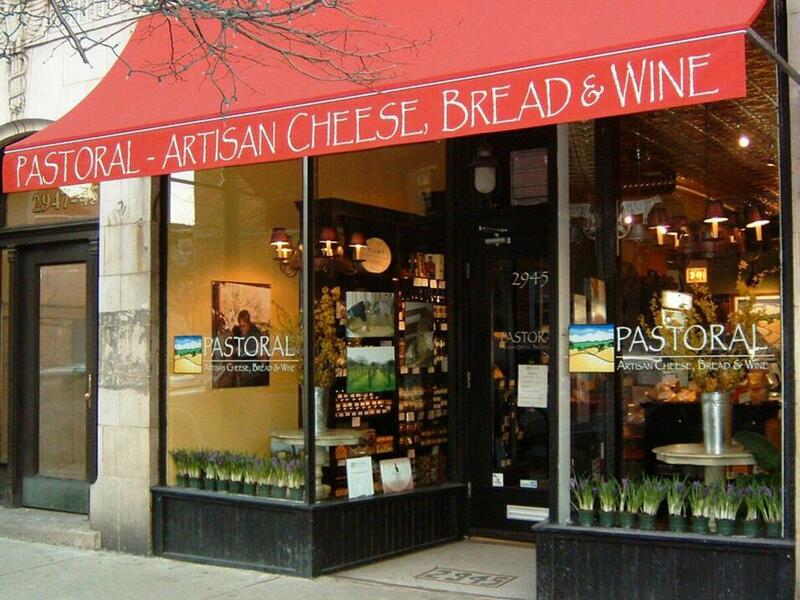 Bar Pastoral, a cheese and wine bistro, opened in 2012 next to the flagship store and features cheese plates and cheese-centric dishes paired with wine. Can't get in on a regular basis? Join the monthly cheese- or charcuterie-of-the-month club. Staff pick: Pleasant Ridge Reserve from Uplands Cheese in Dodgeville, Wis. This farmstead cheese is complex, with nutty, toffeelike and slightly sharp overtones. Rich Rogers named his Oak Lawn cheese shop after his grandfather, Peter Scardello, the most-influential cook in his family. Cheesemonger Bill Rotkis won the Golden Ticket to Cheese Camp at Jasper Hill Farm this summer, and will immerse himself in all aspects of cheese making ... a bonus to anyone shopping his counter. Scardello's enthusiastic staff is excited to help you taste and select from the 150-plus varieties from around the world — including many locally sourced from around Texas. Staff pick: Cabot Clothbound from Cabot Creamery, Vt. This is a bandaged cheddar made from the milk of a single herd of Holstein cows, with a firm, slightly crumbly texture that unfolds with layers of toasted nut and caramel sweetness. Bob Howald has worked as a chef, waiter and commercial fisherman, but it was meeting wife (and business partner) Kristin Sande at a cheese conference that made their decision to open a cheese shop as newlyweds a natural one. 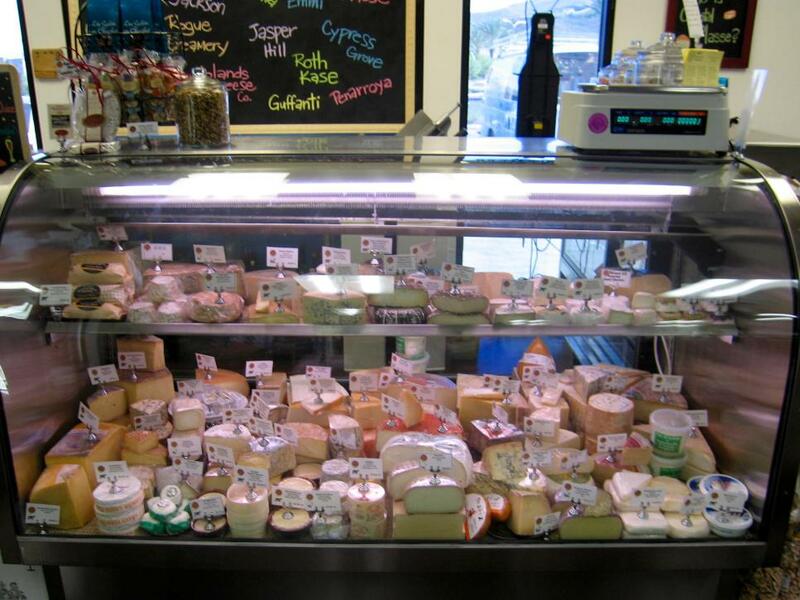 Since 2006 the pair have supplied the Vegas area with artisan cheese, specialty foods, beer and boutique wine. 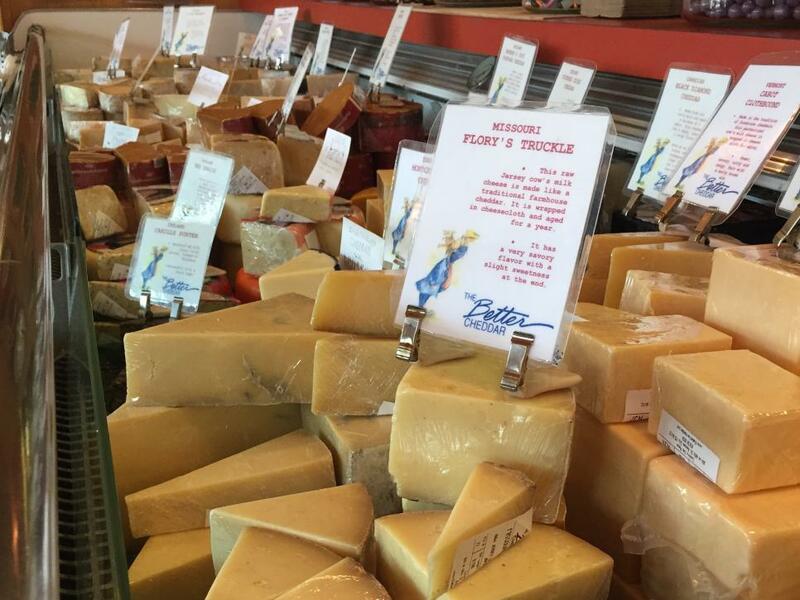 Selections from over 150 wheels of cheese and dozens of pates and meats (including handcrafted salumi from Fra' Mani and Salumeria Biellese) are all cut to order after customer tastings. 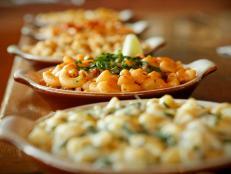 Cheese and wine lovers drive for tastings every Thursday and Friday. Staff pick: Delice de Pommard from Fromagerie Hess in Burgundy, France. This fresh triple-creme cow's milk cheese is coated with the famed mustard seeds of Pommard, which gives it earthy complexity. Ron Shalinsky opened The Better Cheddar on Kansas City's swanky Country Club Plaza back in 1983 and has offered a steady supply of cheese ever since. 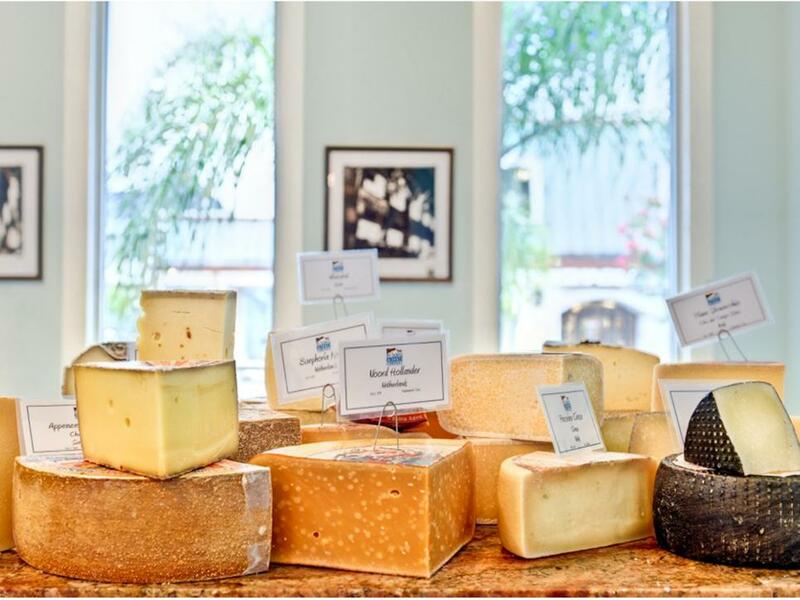 Taste your way through three enormous cheese cases stocked with one of the largest collections in the country, including the best in American artisan cheese, dozens of European varieties, and as the name might suggest, a generous selection of cheddars. 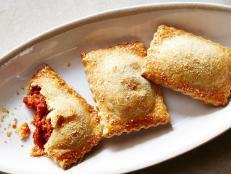 The store’s perimeter is packed to the ceiling with accoutrements of every variety — chutney, crackers, cured meats and the like, as well as wine, pasta and many other gourmet food items. Staff pick: L'Amuse Signature Gouda by Cono in northern Holland. This two-year-aged Gouda has a deep amber color, protein crystals and an aroma of hazelnut and caramel. One would assume that America's Dairyland, Wisconsin, would be home to one of the best cheese retailers around. Ken Monteleone opened Fromagination in the backyard of many cheese makers back in 2009 and has since developed relationships with dozens of local and regional producers — thus expanding the store's selection of Wisconsin cheeses as well as locally made accoutrements, crackers, sausage and other cheese pairings. 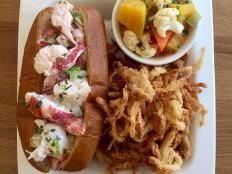 Grab sandwiches to go for a picnic on nearby Capitol Square. Staff pick: Dunbarton Blue by Roelli Cheese in Shullsburg, Wis. This pasteurized cow's milk cheese is a combination of great English-style cheddar (slightly dry and crumbly) with the bite and creaminess of a French blue cheese. Hop on a streetcar named Desire and head to this Garden District gem. Owners Richard and Danielle Sutton were inspired by Paxton and Whitefield, the 200-year-old London cheese shop they ran together before heading back to New Orleans after Hurricane Katrina. Pop in during the lunch rush for pork pie, a duck pastrami sandwich or a ploughman's lunch, in addition to cut-to-order cheeses, cheese accessories and assorted accoutrements. 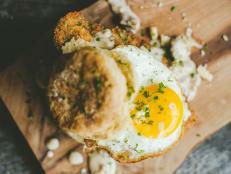 The duo recently collaborated on a space in the French Market, Continental Provisions, inspired by European market stalls, and are working on a third location in the Warehouse District. When visiting Philadelphia, one might think "cheesesteak," but one should really be thinking "cheese," because cheese goes way back here. Two brothers immigrated to Philadelphia from Italy in 1939 and opened the first Di Bruno Bros. shop in the heart of what is now Philly's thriving Italian Market. 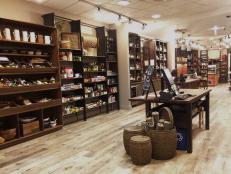 The newer Chestnut Street location features a 300-square-foot cave and hundreds of varieties from around the world, as well as popular monthly cheese-pairing events with local food and drink experts, aptly called The Monger Games. Staff pick: Testun di Castagno, Piedmont, Italy. The cheesemongers refer to this as the "Oh My God" cheese. It is made with a mix of cow's, goat's and sheep's milk, and is wrapped in whole chestnut leaves to impart a smooth, sweet nuttiness. Cheesemonger Steve Jones is the man behind the cheese courses at many of Portland's finest restaurants — Beast and Le Pigeon, to name a couple. For years Steve's Cheese doled out cut-to-order wedges from a tiny retail counter tucked into the back of Square Deal Wine Company. Cheese Bar is Jones’ newest cheese "shop," featuring the same highly curated and constantly rotating cheese selection (with a strong focus on local and regional products), where customers can also dine in on a number of themed cheese boards (think stinky or blue), sandwiches and other nibbles, paired with beer and wine. Staff pick: Sawtooth from Cascadia Creamery in Trout Lake, Wash. This rich cow's milk cheese is fudgy, smooth and peaty, with a ripened washed rind to give it just enough funk. Santa Fe's rich food culture had been missing one key ingredient — cheese — until John Gutierrez opened Cheesemongers of Santa Fe with partner Suzy Thompson. 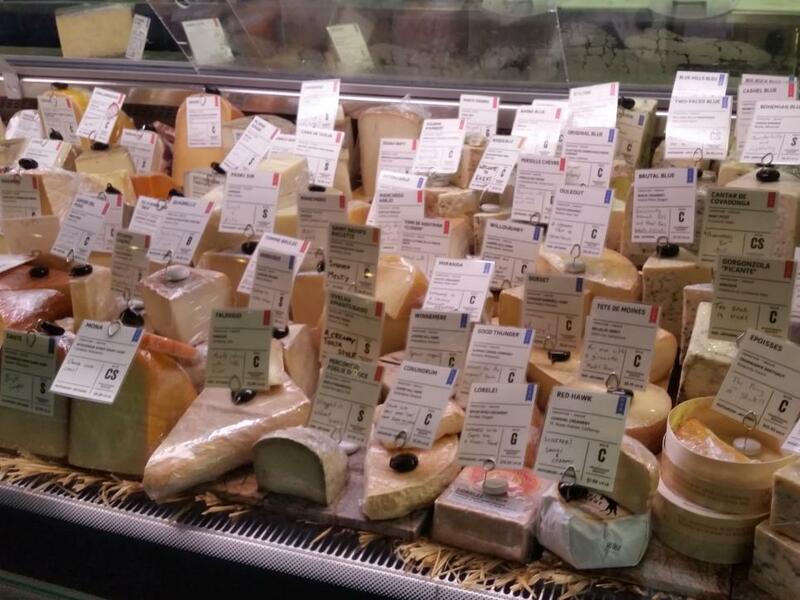 The cheese display wraps around the store so customers are able to talk one-on-one with the cheesemongers. 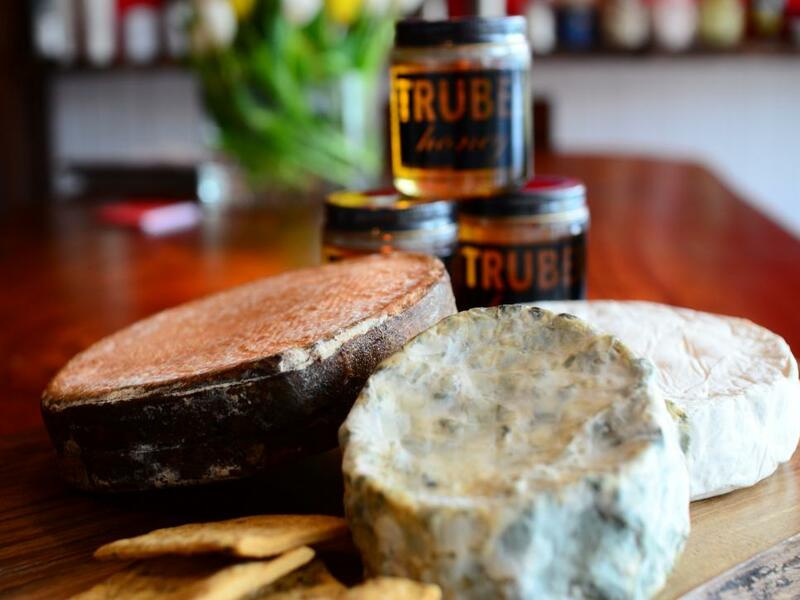 Gutierrez works closely with local and regional producers, from cheese makers to beekeepers, to offer a well-tailored selection of cured meats, antipasti and other grocery items, as well as creative cheese boards with sliced to order Serrano ham, elk terrine and local honey. Staff pick: Blue Mexico by Old Windmill Dairy in Estancia, N.M. This washed-rind blue is suggestive of traditional Italian Gorgonzola Cremificato with flavors of cooked sweet cream, and an aroma redolent of savory sauteed mushrooms. Parker and Louise Converse opened this quaint shop in 2012. Louise (known to customers as "Cheese Louise") wanted the type of shop she had toured in her native Great Britain. Parker, a master woodworker, transformed the space on Sarasota's Main Street into a vibrant shop where the couple work side by side to take the intimidation out of buying cheese. Still overwhelmed? 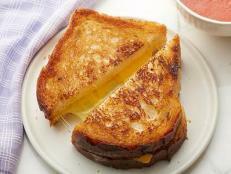 Sign up for a Cheese 101 class, but do it quickly, because the classes sell out almost instantly. Staff pick: Field of Creams by Prodigal Farm in Rougemont, N.C. This disc of soft-ripened cheese has a rind of rosemary, juniper berries, pepper and other herbs, which perfume the interior "paste" of the cheese as it ages. Kurt Beecher Dammeier opened the first Beecher's shop in the heart of Seattle's Pike Place Market back in 2003. The cheeses, handmade on the premises, have been racking up the awards ever since, making Dammeier an icon in the cheese-making industry. 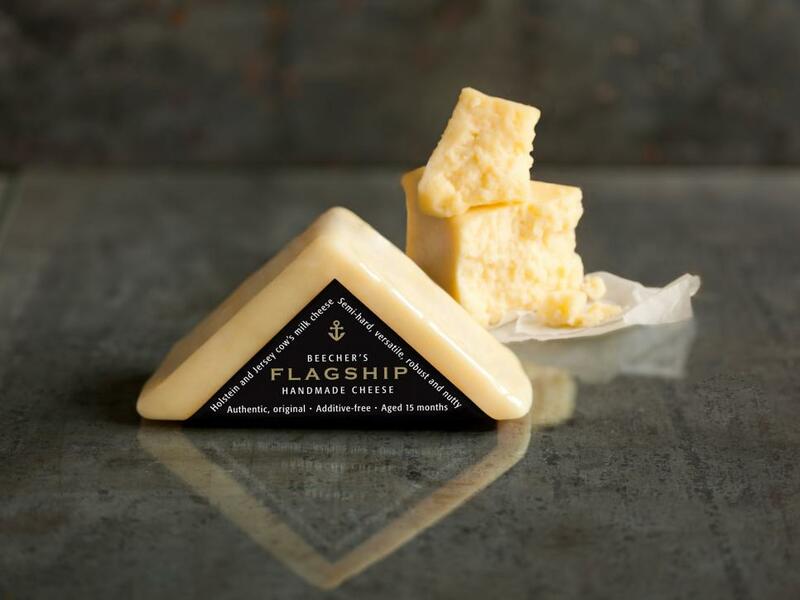 Beecher's Flagship Cheddar was the shop's first cheese, and is made from locally sourced milk free of antibiotics and growth hormones. 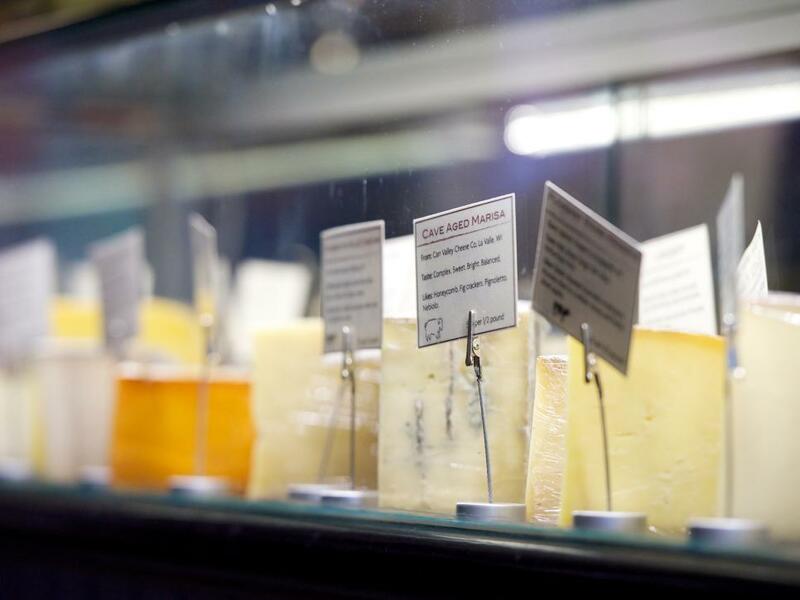 Witness its birth firsthand through the glass-walled kitchens, and pick up a wedge to go, or choose from a variety of American artisanal cheeses, all made west of the Mississippi. Staff pick: Beecher's Flagship. This is a dense, crumbly cow's milk blend of cheddar and Gruyère, with a uniquely robust and nutty flavor.